Dr. Michael Saulle is an Assistant Professor of Clinical Rehabilitation Medicine at Weill Cornell Medical College. 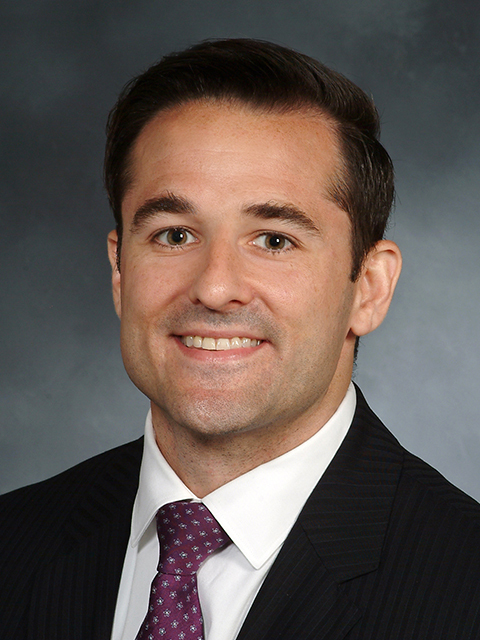 He is a dual board certified physician in Sports Medicine and Physical Medicine & Rehabilitation. He specializes in non-operative Sports Medicine with a particular interest in minimally invasive image-guided procedures for the diagnosis and treatment of musculoskeletal injuries. He uses musculoskeletal ultrasound and fluoroscopy to provide real-time diagnosis and precise delivery of medications. His clinical interests also include regenerative treatments, such as platelet rich plasma injections. He treats a wide range of musculoskeletal, sports, and spine injuries, with a non-operative, patient-centered approach. His goal is to restore proper movement and optimize quality of life through a comprehensive treatment plan including personalized therapy prescriptions, nutrition, exercise, medications, injections and education. Dr. Saulle received his undergraduate degree from Georgetown University, where he studied Health Sciences. He received his medical degree from Touro College of Osteopathic Medicine and completed his internship at North Shore LIJ Hospital in Internal Medicine. He subsequently completed his residency training program in Physical Medicine and Rehabilitation at New York-Presbyterian-Columbia and Cornell, where he served as Chief Resident. He went on to complete fellowship in Sports Medicine at New York-Presbyterian - Columbia and Cornell. He has cared for many recreational and professional athletes, and has been a team physician for high school, college and professional sports teams. Dr. Saulle has participated in competitive sports for over twenty years and uses his personal experiences with injury to provide a unique comprehensive perspective on recovery and rehabilitation. He believes patient education is the cornerstone to successful treatment and ensures each patient understands his or her condition, treatment options and lifestyle modifications to optimize musculoskeletal health and well-being. With his added focus on education, he is also deeply involved in mentoring and training medical students, residents, and fellows at Weill Cornell and Columbia University Medical Center. Dr. Saulle hails from Westchester New York and enjoys a variety of sports, music, cooking and backpacking.